It’s no secret that I am a big fan of all things Star Trek. (Just have a look at my collection room devoted to Sci-Fi!) My wife and I went out this weekend to see the new Star Trek movie and since we had never been to a movie shown in IMAX, we decided this would be the movie to splurge on. We had some shopping to do early in the day, (Figure hunting actually.) so we decided to catch the four o’clock showing. We went to the theater, (The Regal Cinemas at Pointe Orlando.) had to park in a parking garage and walked through an outdoor-type mall to get to the theater. We got into line to purchase our tickets and as we approached the next in line position, we hear the attendant telling the person at the window that the next two IMAX showings, both the four and seven o’clock, are sold out! Arrr! So we paid three dollars for 30 minutes of parking to stand in a line for nothing. We discussed trying to get in for a later showing at another theater at dinner and decided to stop at home to check for showings. We decided to order our tickets on-line for a ten PM showing at a theater very far from our home. (The Regal Cinemas at Waterford Lakes.) We arrived at the cinema with about 45 minutes to spare before the showing, bypassing the ticket booth since we ordered on-line. As we entered the theater we were stunned by the fact that over three quarters of seats were already taken. So we luckily found two seats together, in the neck breaking, far left-hand side on the aisle. I was under the impression, that part of the IMAX Experience was that the screen was huge. Ten times bigger than a normal screen. Not so here. It was no bigger than a normal screen. OK, so the sound was better, actually it was almost deafening! (My ears were ringing for the rest of the evening.) So, here’s my beef: We paid $15.00 dollars each plus a $2.00 per person “Convenience charge” for ordering on-line, (Plus, lets count the previous $3.00 for parking at the other theater.) for just a much louder movie experience in a very crowded, hard to get comfortable because of having to sit sideways to see movie. Our first IMAX Experience was not that great. We have decided to give the first theater another go at some point, just to see if it has a bigger screen, but we were not impressed with our first IMAX Experience. Now, on to the movie. I liked it! There were some issues, but over-all not bad. It was hard for me to adjust to seeing new actors playing the roles of the actors I have associated The Original Series with for the last 40 years though. The story and the villain did not really “wow” me, as much as I had hoped. I understand that they had to spend some time introducing the characters to the “all new audience” that they were shooting for. I do not want to spoil it for anyone who has not seen it yet, so I will not go into any details. I am glad to see that it is doing well at the Box Office, I am glad to hear the talk of a proposed sequel, I am glad that the franchise has been re-invigorated and I hope to see a possible gamble on a new television series. Most of all, I hope that Diamond Select Toys will now start selling more Star Trek items and make some new figures for us with the profits from the renewed interest in Star Trek. It was beginning to look like they were starting to have a loss of interest in the Star Trek license. Cheers to Star Trek! Live long and prosper! “Old Spice Guy” as Luke Cage! 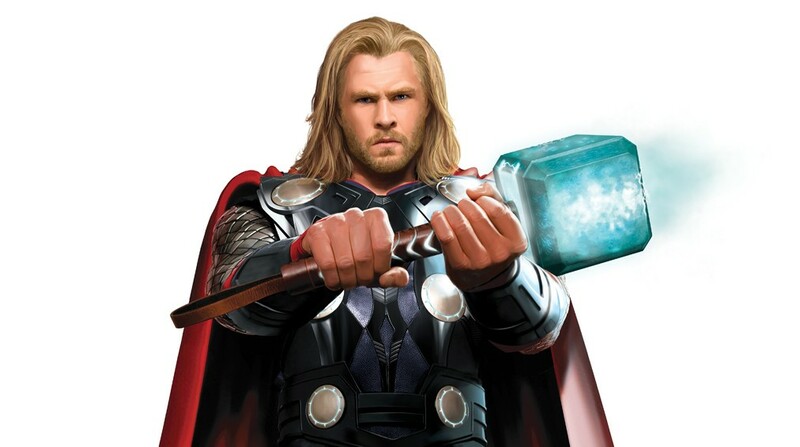 Is this the new Thor movie costume?